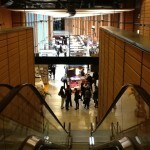 When it comes to event trade shows, what’s not to like? Everyone wants to talk to you, make you feel special and most importantly, they give you fun free stuff! 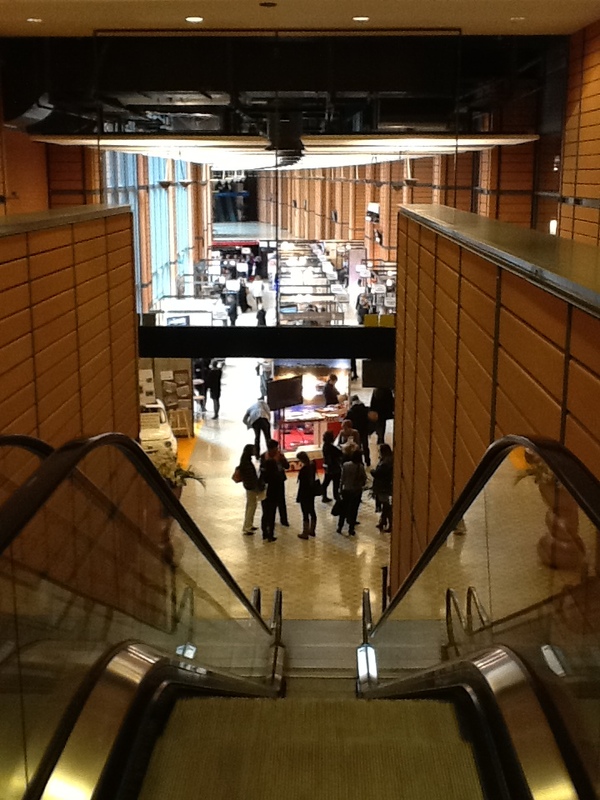 This is my 2nd experience at the Seminaires Business/Events Salon(trade show) in Lyon, France. It’s not super big, perhaps 200 exhibitors, but it’s worth a leisurely ride up on the TGV and I have the added bonus of having lunch with a good friend of ours who is coincidentally an exhibitor. Quel chance! So why do I come here? First and foremost, I am trying to develop a network of vendors and venues here in France. This is harder than I had initially thought. Knowing who to call for what in the US is easy because if you don’t know, it is certain that a colleague will know…hence the network. It’s important for me to know who is who in the business, because that’s what makes us good at our jobs as event professionals. If we don’t have the network and resources, then we don’t have much really. I just happened to return home with a very large book, published by Evenementielle Magazine, full of nothing but vendors and event agencies. Normally they would charge 60€ for this book, but at the salon, I got it for free, Score! My secondary goal was to see if I could get any closer to lining up some project work. So I used the uncharacteristically friendliness of the french exhibitors to try and extract a bit of information. I asked many of the venue representatives if they had groups of anglophones doing events with them and what agency had brought them the business. They were so nice and gave me all sorts of good information. I now have a few leads to research…baby steps. I am reading about another upcoming show called ‘Heavent’, which will take place in March in Cannes. It looks as though there are speakers throughout the day. Probably only a few topics will apply to the type of events that I produce, but that’s better than nothing AND it will be in French. In comparison to my favorite US event trade show, The Special Event, the ‘salon’ here in France is missing some key components. There is no educational component here. Second to knowing what vendors to use, is being up to date on trends. Workshops and keynote speakers give us insight into the newest technology for staging, lighting, event management software and even biodegradable cutlery. We need to hear about what other teams are doing in order to keep advancing in our industry. The Special Event, being American, also has very over the top products and vendors, the likes of which you only see in America. All of the neatest LED glassware and table top accessories, green screen videos and oxygen bars. Every year there are new and different things to see and do there, and the evening events let you experience many of the items first hand. Previous PostPrevious Who is The French Event Connection and why should I read her blog?